Dubai: Sitting for hours in a long haul flight full of strangers is one of the things most travellers dread. But with entertainment being the cure to every piece of boredom, listening to favourite songs or catching up on the latest films aboard the plane is definitely a great idea. This is why many airlines are investing a lot of money in their inflight entertainment system. Now, Emirates has taken its offering to a higher level by introducing a new innovative feature. The airline announced on Monday that passengers can now create their own playlists ahead of their flight and sync it to their seats once on board. 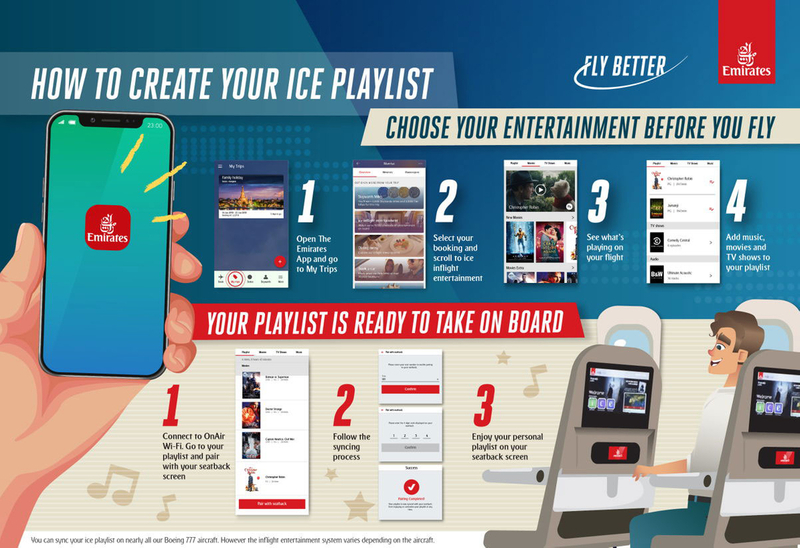 With the new functionality, flyers can choose what music, movies or TV shows to play on board, even before stepping onto the plane by accessing the Emirates app. “Customers can plan their trip more effectively, and maximise their onboard experience by using the Emirates app to browse the expansive entertainment catalogue at any time,” the airline said in a statement. 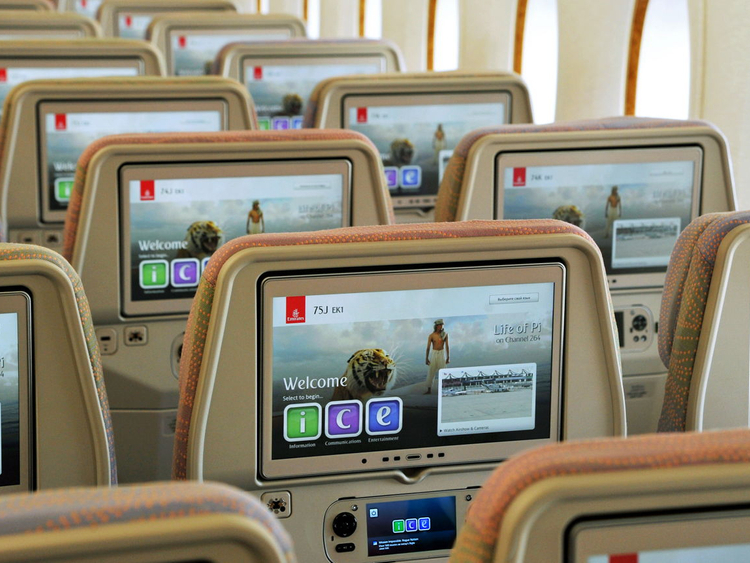 ice, Emirates’ inflight entertainment, has reached a new milestone of over 4,000 channels of on-demand entertainment. The catalogue includes over 1,000 movies, popular television box sets, tens of thousands of music tracks, podcasts and games. Tim Clark, president of Emirates Airline, said the latest functionality elevates the customer experience even before stepping onto the aircraft. The Emirates app allows customers to book flights, hotels, car rentals, tours and attractions. In addition to the ice catalogue, travellers can browse through their flight’s menus and wine lists up to a month before the departure date. It also features 3D seat maps which allows customers to navigate the interior of the A380 and the Boeing 777 during seat selection, and explore the spacious cabin before they board.